For the past few weeks, we’ve been talking about walking meditation… There’s no better time or place to squeeze in a session of walking meditation than when you’re out on the green. Think about it, every whole you play is literally an opportunity to practice walking meditation. Being on the golf course also presents a great opportunity to practice focused mindfulness meditation. Once you get the hang of this, you can turn an ordinary game of golf into two games: a physical game and a mind game. As you try to sink the ball in each whole, you will also being challenging yourself to shift between a bout of focused mindfulness meditation and a bout of walking meditation. Obviously, you’re game is going to start with you driving the ball. As you approach the tee and take your stance, close your eyes and just listen. Just listen to whatever sounds you notice. Do not judge what you hear; only listen. If any other thoughts jump into your mind, push them out and redirect your focus to the sound of the course. Then open your eyes, look directly at the ball, and direct all of your focus on it. Envision yourself driving the ball directly into the hole, then swing. 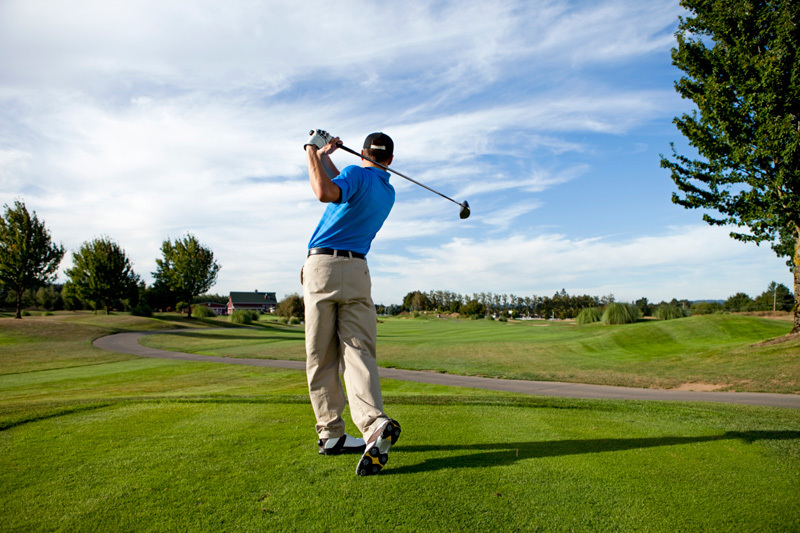 As you are walking to the next hole, clear your mind again by only focusing on your walking. Use the first level of observation to notice the sensation of walking, how you are walking. Feel the grass underneath your shoes; notice the motion of your heel striking the ground and then rolling onto the ball of your foot and then off your toes as you lift your foot again to take another step. If you’re really feeling ambitious, you can even end your game with an additional 15 to 20 minutes of mindfulness or walking meditation. You can use the time to reflect on the game you just played, or anything you like.